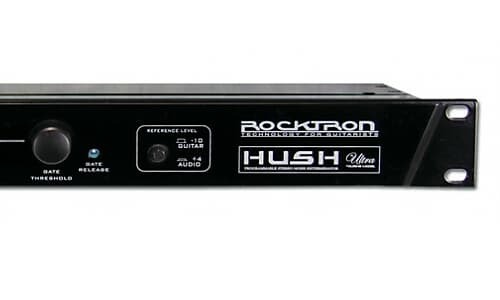 Rocktron HUSH Ultra Noise Reduction. 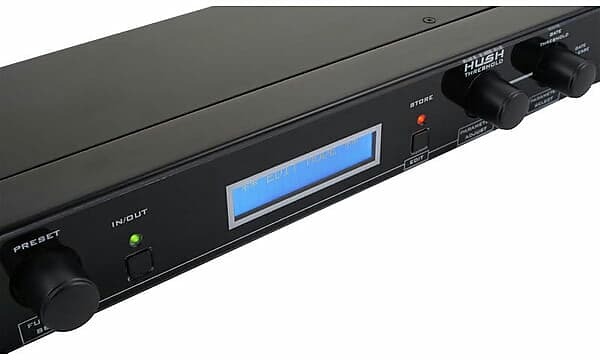 New with Full Warranty! 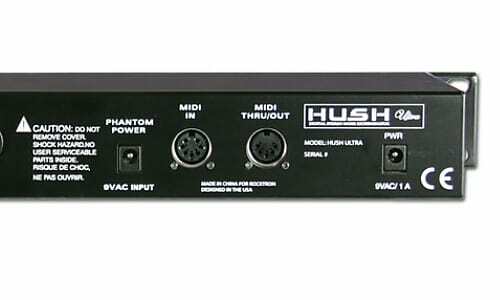 The HUSH Ultra is the ultimate noise reducing, eliminating and exterminating processor. 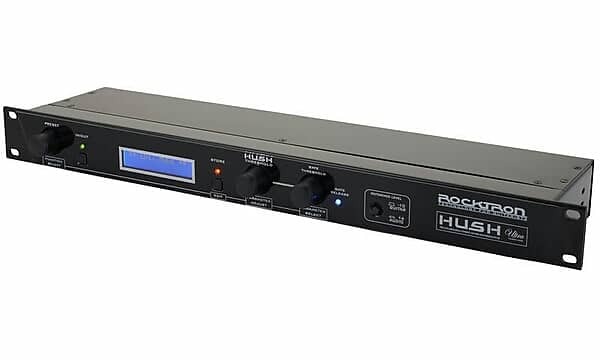 This MIDI controllable version of our famous HUSH noise reduction allows you to create your own presets for silencing various gear and different settings within that gear. 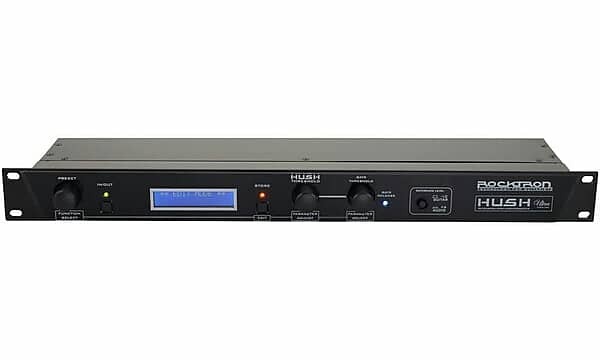 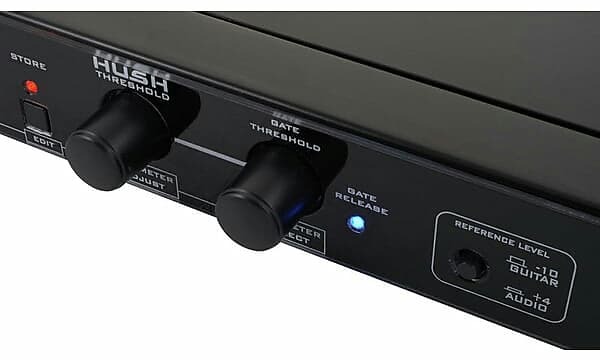 The HUSH Ultra’s innovative digital stereo noise exterminator provides two channels of the same world renowned professional noise reduction patented by Rocktron and used for years in thousands and thousands of guitar rigs and recording studios! 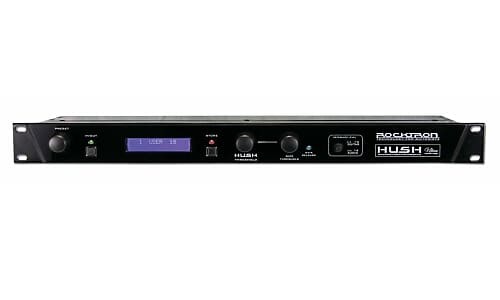 The HUSH Ultra features True Bypass, an LCD display and programmable presets with MIDI control allowing you to tailor your HUSH settings on individual presets to suit your needs. 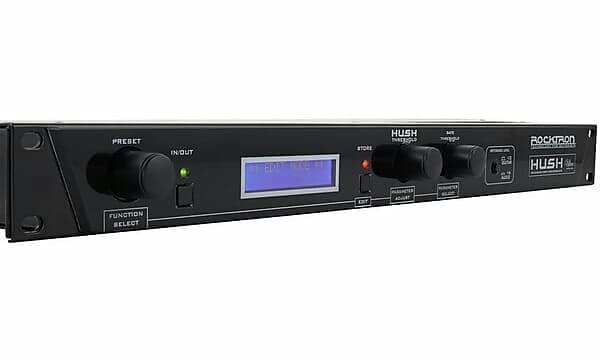 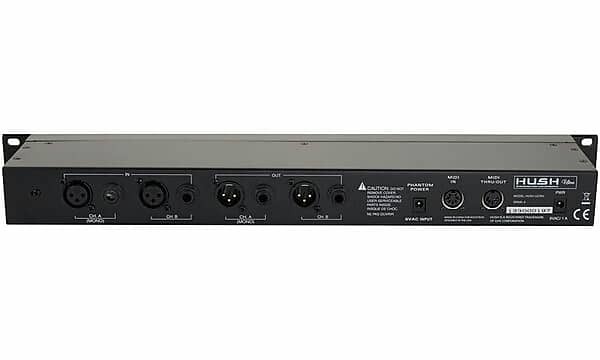 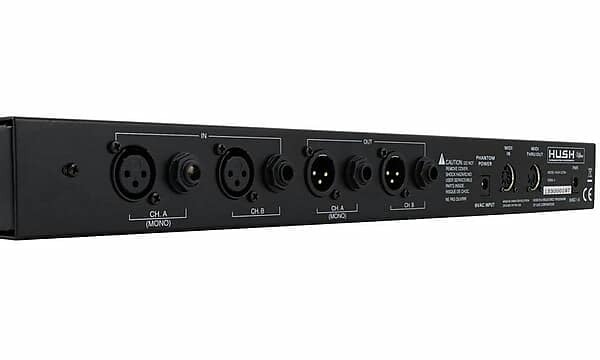 The HUSH Ultra provides BOTH 1/4” and XLR inputs and outputs, and is easy to setup and easy to use. 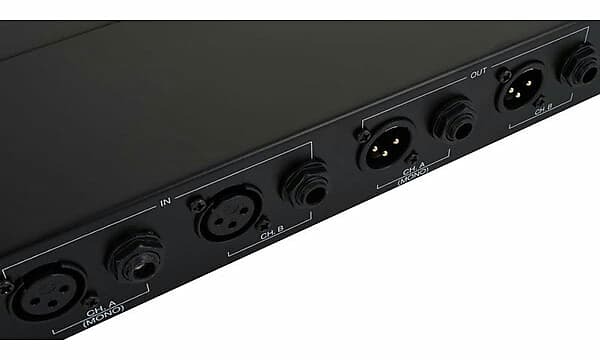 Wipe out noise, eliminate hiss, crackle and other noise problems with the very best noise reduction circuitry available today! 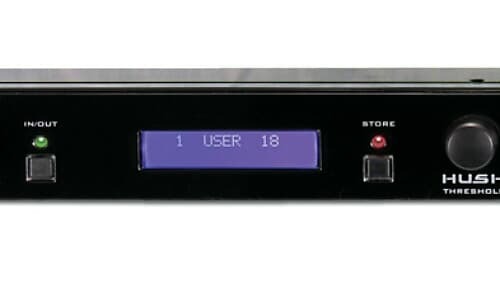 Dimensions - 19" x 4" x 1¾"
Items normally ship within two business days of payment. 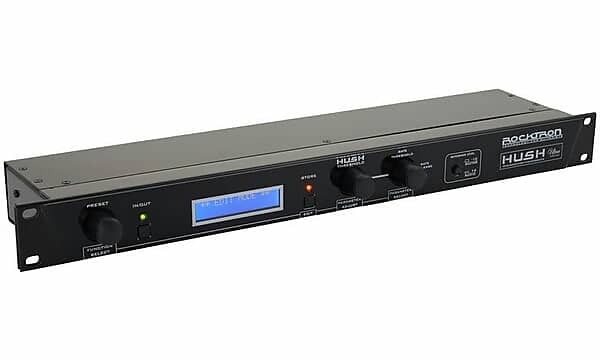 This allows us time to do a final quality control check and, in the case of stringed instruments, a final set-up and adjustment.